Okay, I’m done here. Review round up over. Everyone go home! Nah, just kidding. I mean, I could say that, and it’d be pretty much entirely accurate. Sonic Mania is an amazing game that’s gotten near perfect reviews across the board. So, in that sense, you really could sum it up by simply saying how incredible it is. But I won’t. Instead, I’ll do my job properly and tell you exactly what the critics think of the game overall. 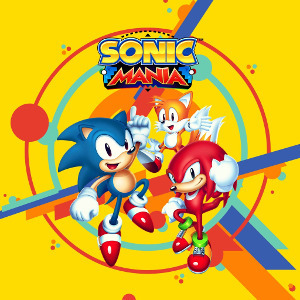 So, strap yourself in, get comfy and get ready to look at all the critic reviews for Sonic Mania! Starting with the entirely positive ones. Namely, Gaming Age and The Sixth Axis’ perfect reviews for the game. These two give the game 100%, saying it surpasses the Mega Drive games and calling it a fantastic entry in the series overall. And while some other critics aren’t quite that generous, they’re not alone in the high review score camp. Jim Sterling (always a controversial internet critic) has given the game a very positive 95% score, saying it acts as a true sequel to the Genesis games in every way. That’s pretty good for him, especially when compared to his somewhat more critical reviews of titles like Zelda Breath of the Wild. Another site in the extremely positive camp (which isn’t really a surprise given its origin as a Sonic exclusive site) is TSSZ News. 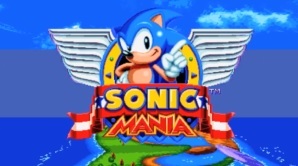 These guys don’t just say Sonic Mania is a great game, they outright state it’s the best Sonic game of all time. That’s… impressive. Especially given that the Sonic fanbase would presumably be some of the hardest to please where a full successor comes in. Moving down a bit (to the 90% range), you’ve got Metro GameCentral, Attack of the Fanboy, Dual Shockers and Gamespot. All of these sites are deeply positive towards the title, though perhaps not enough to say it’s a perfect game. This is probably where most big site scores will fall to be honest, especially given how they’re usually a tad more cynical about nostalgia than lesser known ones. Meanwhile, IGN gives it a reasonable 87% score, saying it’s the classic throwback fans have been waiting for. Their only negatives are that boss fights can drag a bit, and that they wanted more checkpoints in certain levels. Eh, seems acceptable now. Though perhaps a little indicative of how modern critics are a bit rusty with the old game playing skills. US Gamer goes down to an 80% score, shared with God is a Geek, Push Square and Destructoid. Why the lower score? Well in the case in the former, they simply think it’s a bit heavy on nostalgia, and think the game should have gotten more original levels. Again, fair enough. Sonic Mania does reuse some old level themes for whatever reason, and that may not be to everyone’s taste. And then that brings us to the few mediocre reviews. Oh boy, these are the most controversial by far. Why? Because sometimes it feels like these critics didn’t quite understand the appeal of the series. For example, Polygon goes as far as to say Sonic is terrible with precision platforming and complains about lives and checkpoints. Those aren’t really problems with the game. They’re problems with the reviewer not really being all that good at it. Yes, you have to go back to a checkpoint if you die. And if you get a game over, you have to go back to the start of the level. 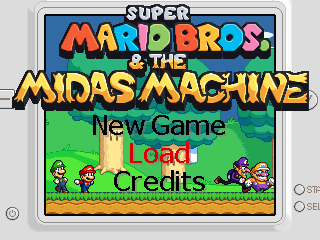 But that’s just how every platformer works. Mario works like this (even in New Super Mario Bros and 3D World). Donkey Kong works like this. Wario Land works like this (heck, Wario games before Shake It don’t even have checkpoints!). Heck, I’m pretty sure everyone from Mega Man to DuckTales to Rayman likely does it. Sonic using this setup is just continuing how the original games worked. Which, guess what? Worked perfectly for millions of fans in the 90s. It just feels like they got someone who never really enjoyed a Sonic game and who wasn’t all that good at it to review the newest one. Which contrasts rather amusingly with Slant Magazine’s negative review. Whereas the Polygon reviewer said it was too hard, the Slant Magazine reviewer says it’s too EASY. It makes you want to imagine the two reviewers in a debate. Seriously, can you imagine it? You’d have the Polygon one saying “God I hate these bosses, they keep killing me” and the Slant Magazine one saying “God I hate these bosses, they’re too easy” while the two of them look at the other like they’re from Mars. It’d be absolutely glorious! As far non-scored reviews go… well those seem to be pretty positive for the most part. At least, Kotaku’s is, saying the game is pure joy and a ‘spinning ball of fun blazing towards the next adventure’. Interesting choice of wording, though a sentiment most would agree with none the less. So overall, it seems the game is doing pretty damn well for itself. Has it all pleased all critics? Nah, there’s always a few who don’t understand 90s game design or classic Sonic gameplay. But for the most part, they’re extremely positive about it overall. And for a series like Sonic, that’s amazing to see. Kudos Sega, Headcannon and PagodaWest Games, you’ve made the dream Sonic game fans have waited years for! Let’s hope Sonic Forces continues the trend!